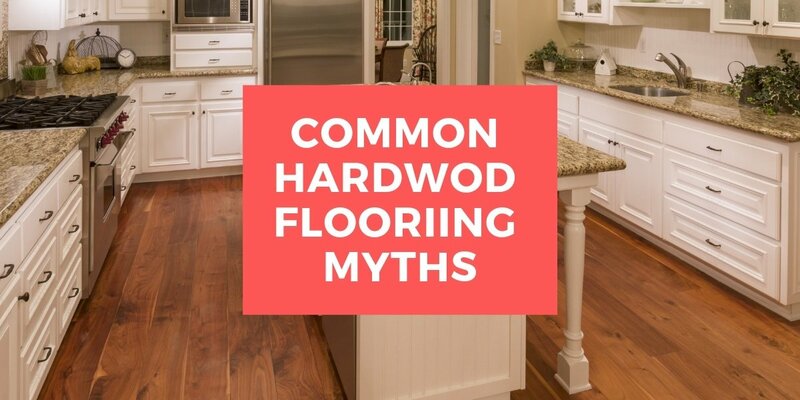 When it comes to hardwood flooring there are a lot of misconceptions. Here are some of the most common. Hardwood flooring is often considered one of the most expensive types of flooring out there, and it does have a larger upfront cost to it than a lot of the other options. The difference, however, is that you can look at it as a long-term investment. You will most likely never have to replace your flooring again because hardwood flooring will last an extremely long time. Most flooring will begin to show signs of wear and age after 5 years, many only lasting 10 to 15, whereas hardwood flooring can last decades with proper maintenance. When it does begin to start looking aged it can also be refinished back to its original shine. Engineered hardwood is not real hardwood flooring. Engineered hardwood is sometimes mistaken for laminate flooring. Engineered hardwood is real wood flooring. It is made of several layers of wood adhered together. It can be sanded and refinished just like solid hardwood. Laminate flooring, on the other hand, is made of several different synthetic materials that simulate the look of wood. There is a huge variety of hardwood floors. Some wood, like pine, is soft and will scratch easily, but there are also harder woods, like hickory, that do not scratch easily. Also, most scratches are going to be in the finish, which can easily be sanded and refinished. Hardwood flooring does not work in a kitchen. Hardwood flooring is a versatile flooring option that is suitable in most rooms of your home, including your kitchen. While it can’t hold up to water damage, the small amounts of water on the surface of the floor is not going to harm it as long as you clean up spills quickly. Also, since it is very durable and strong, it can hold up well to the heavy foot traffic of a kitchen. For more help picking out the perfect flooring for your home, stop by Carpet Depot so we can help pick out the perfect flooring for your home, lifestyle, and budget.